Married for the first time at age 29, armed with a legacy to fulfill and the call of God to evangelize on her life, Tequita was ready to take the world by storm. However, shortly after she said, “I do”, her hopes and dreams were replaced with a harsh reality: her husband was an addict. Using Isaiah 61: 1-7 and her own heart-rending story as a backdrop, she provides encouragement and hope for those who are dealing with the sudden unforeseen and certainly unexpected trials in their lives. 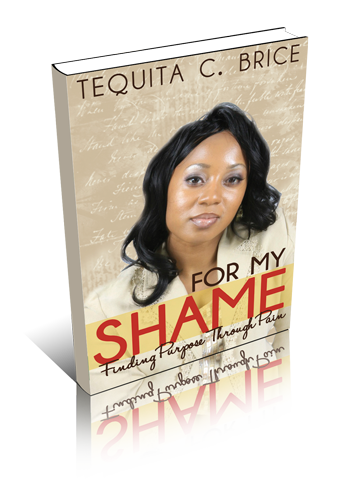 From unforgiveness and brokenness to healing and wholeness, For My Shame shares the spiritual metamorphosis God took her through to transform her pain into purpose.